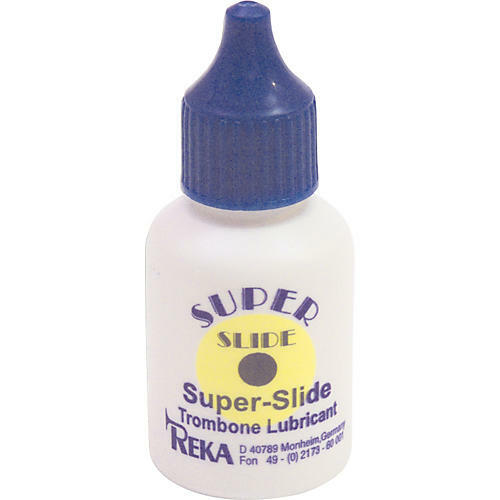 The REKA Super Slide Trombone Lubricant features a one-bottle formula designed for outstanding lubrication of trombone handslides. The convenient needle-shaped applicator allows the right amount of lubricant at the right place. Available in 1 ounce plastic bottle.